Properties offer the best value, whether for live-in, rent, or resale. The golden rule to property investing is to buy cheap and sell expensive. This is easier in theory than in practice. Getting the best deal for a property is a challenge for aspiring and veteran property investors alike. However, it seems a unique opportunity has presented itself. UK property investors are keeping a sharp eye on the property market as Brexit draws near. Experts predict that house prices would temporarily dip after article 50 is invoked. For first-time buyers and eager investors, this provides a lucrative opportunity. But like other solid opportunities, the lack of finance is always a stumbling block. Your best bet is to seek properties with great potentials that have been put up for auction. Auctions provide property investors with mouthwatering deals. Commercial, residential, and mixed properties are often up for grab at bargain prices. If only you had someone to put up the required fund, you could buy a property at a bargain price and resell when the market recovers. Your traditional lenders (UK Banks) are of little help here. You need a financial service that can provide the needed funds within days from when the hammer thuds. If you have a wealthy friend or come from a wealthy family, you could ask them for a loan. However, most Brits, including you, may not have that kind of connection. You need a financial service that will connect you with a lender within days. The terms of the loan have to be flexible and quick to arrange. And those are the features of Auction Finance otherwise known as Bridging Finance that makes it an excellent choice in this circumstance. Here are some great examples of Bridging Loans and usage from UK Property Finance a renowned company in this sphere. Most auction finance providers are interested in the exit strategy – your repayment plan, usually the sale of the property or a remortgage. Sufficient fund. After winning an auction, you have 28 days to complete payment or forfeit your 10% deposit. Bridging Loan providers will provide the needed funds in days. Unlike traditional bank loans, auction finance is easy to arrange. They provide an instant fund for those who are eligible. Flexible repayment plans. There are three repayment plans to choose from. Monthly: You pay the interest monthly and the full amount at the end of the term. Retained: The total interest is added to the original amount and you pay up at the end of the term. Rolled up: Interests are calculated monthly and added to the original amount. You pay up at the end of the term. Works with all kinds of properties. 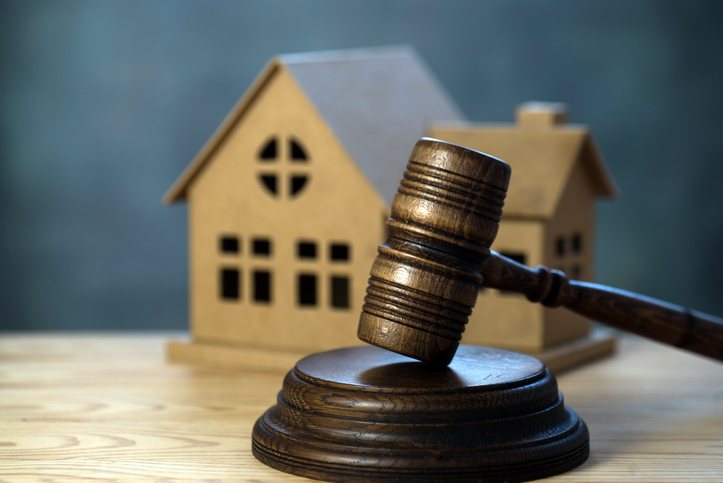 Whether you are seeking a house to live in, rent, or resell, auction finance will provide the needed funds. You might have to present a proposal for a development plan if you are considering a commercial property. Auction finance companies offering bridging loan providers treat application on a case-by-case basis. Here are a few tips to ensure you get the best deals. Have a good repayment plan. Providers are concerned about your ability to repay. A solid repayment plan will get you the needed funds quickly. For commercial properties, you should prepare a solid business proposal. Have good credit. Bad credit does not necessarily mean your application would be denied but it casts doubt on your ability to pay. A clean credit stands in your favour. Have good collateral. You are more likely to get favourable interest rates if you secure your loan with good collateral. The property market is an ever-appreciating market. A no-deal Brexit offers a great window of opportunity. Use a good bridging finance provider to take advantage of this unique opportunity.